The North American Climate Summit was gathered to explore how city leaders can take action on climate change. More than 50 mayors attended the event, including those from Paris, Mexico City, Montreal, Austin and Atlanta. It was partly inspired by the recognition that cities may have to play a bigger role if action at federal levels of government recedes. The U.S., for instance, intends to withdraw from the Paris agreement, opening up a larger opportunity for action on the local level. Mayors throughout the U.S. have since reaffirmed their commitments to the global arrangement. 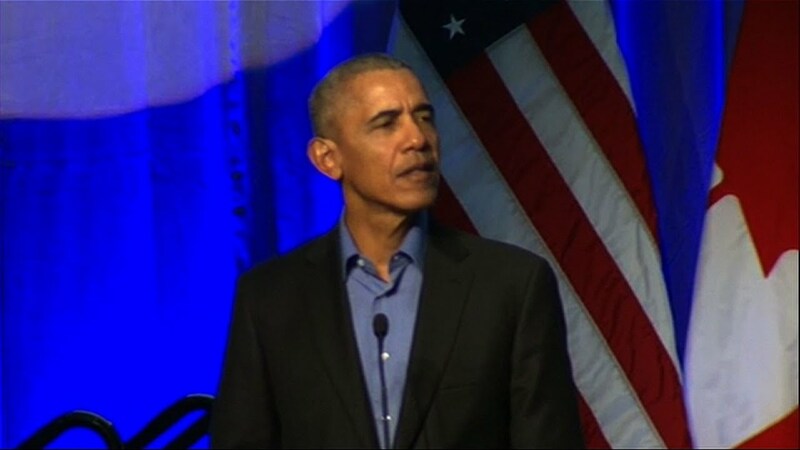 While Obama didn't refer to Trump by name, he expressed opinions that are at odds with the current president, the New York Times noted. "Ultimately the work is done on the ground," Obama said during the event, AP reported. "Cities and states and businesses and universities and nonprofits have emerged as the new face of American leadership on climate change." Mayors have long played a crucial role in addressing climate change. This makes sense because cities hold the bulk of the world's population and mayors can often take action more readily than leaders overseeing larger bodies of government. Global Citizen takes action on the Global Goals which call for strong climate change. You can take action on this issue here .